Go deeper! 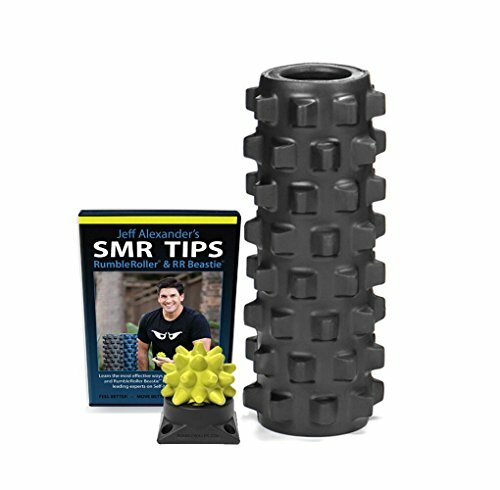 begin and finish your workout with Rumble Roller's 12 inch extra firm massage roller and beastie ball. Targets hard-to-reach knots and works them out for better performance, pain relief and faster recovery. Rumble Roller's unique, high-profile bumps go deeper, replicating the pressure of thumbs and elbows of a deep tissue massage. Instructional DVD provides best practices for learning deep tissue roll-out and massage techniques. Get stronger, get faster; improve your performance and endurance; reduce pain and prevent injuries. Rumble Roller's extra firm superset, for the serious athlete looking for the ideal fitness recovery tool. If you have any questions about this product by RumbleRoller, contact us by completing and submitting the form below. If you are looking for a specif part number, please include it with your message.